So, what to do with the leftover sack of poppy seeds from these bad boys? 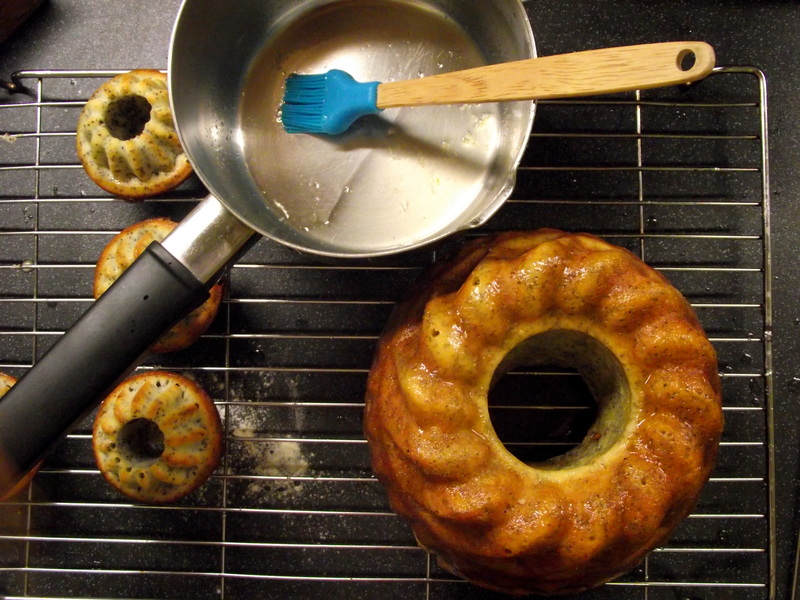 I thought a lemon and poppyseed cake would be the perfect excuse to use my latest purchases from Lidl’s mystery aisle, a medium bundt tin and mini bundt tray. 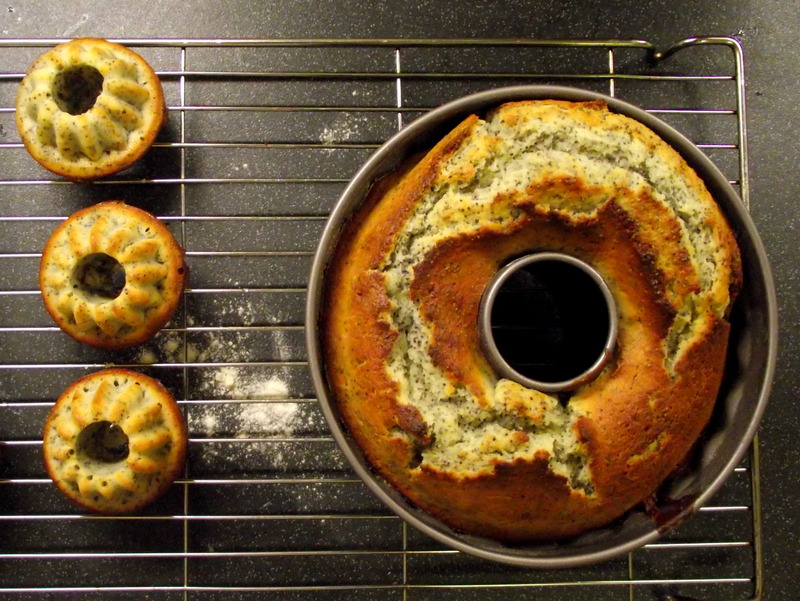 (If you don’t have a bundt tin, this should fill an ordinary loaf tin.) 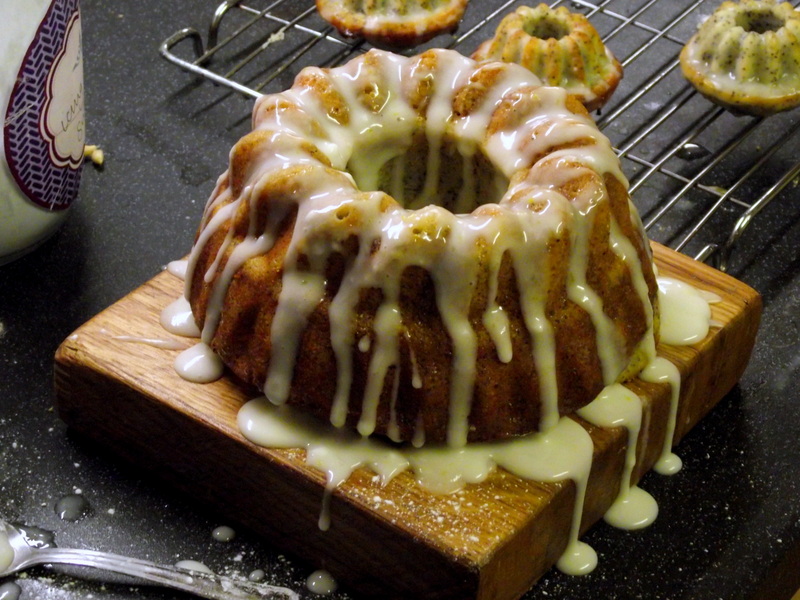 The warm cake is brushed with lemon syrup to make it extra moist, which means it only needs a drizzle of icing that won’t mask the mouldings. This one’s for Harriet, who doesn’t like butter. 1. 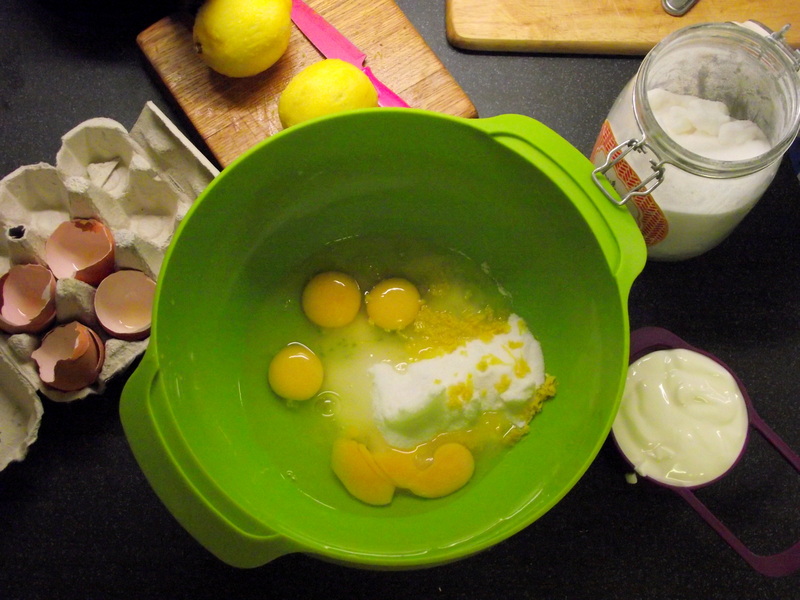 Whisk together the yoghurt, sugar, eggs, lemon zest, vanilla and oil. Sift in the flour, salt and baking powder, and slowly whisk to combine. 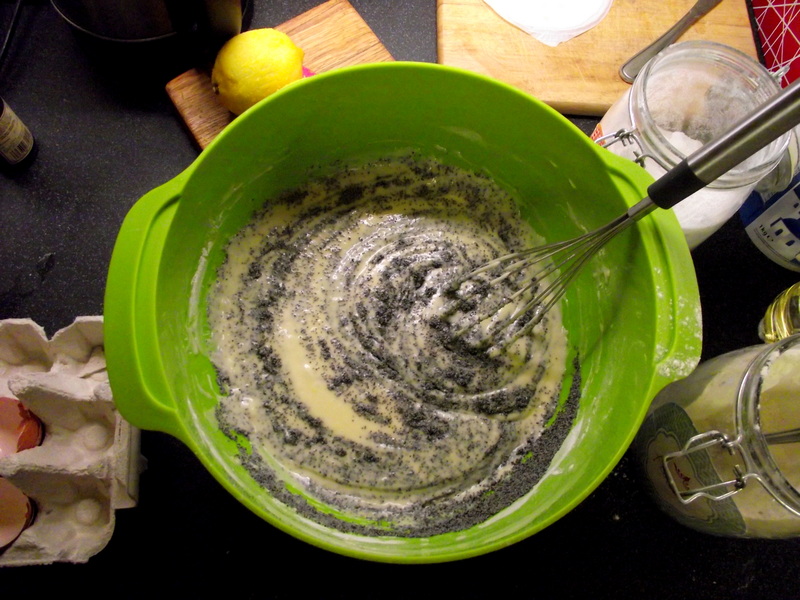 Gently mix in the poppy seeds. Pour into a greased and floured tin, and bake at 180C for anywhere between 30-50 minutes, depending on the size of your tin. 2. 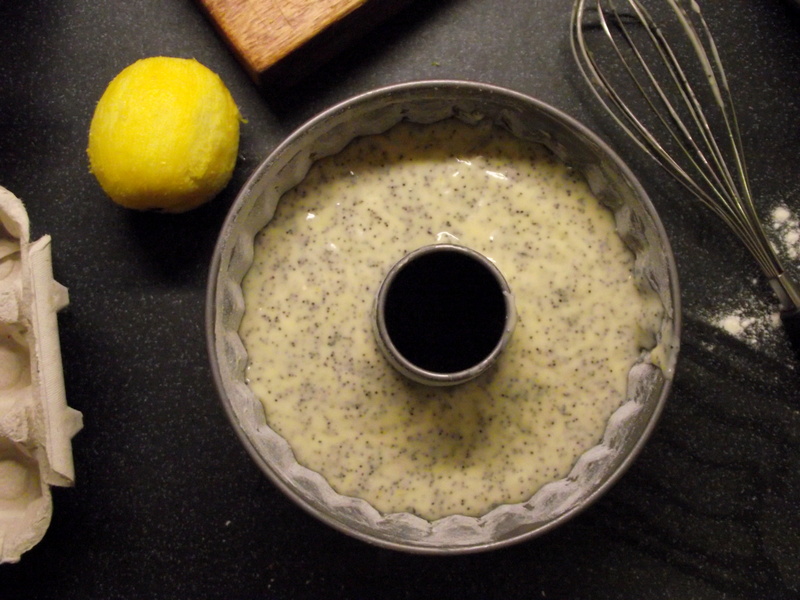 Whilst the cake is baking, heat the lemon juice and sugar in a small saucepan until the sugar dissolves. Turn the cooked cake out onto a wire rack and brush with the syrup. Leave to cool completely. 3. 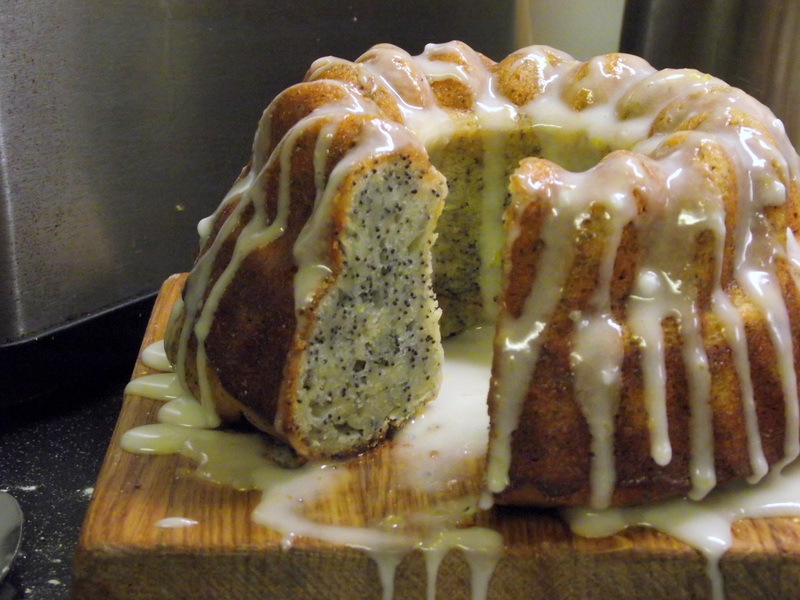 Mix the lemon juice and sour cream with enough icing sugar to make an opaque but still runny icing, and drizzle over the cake. 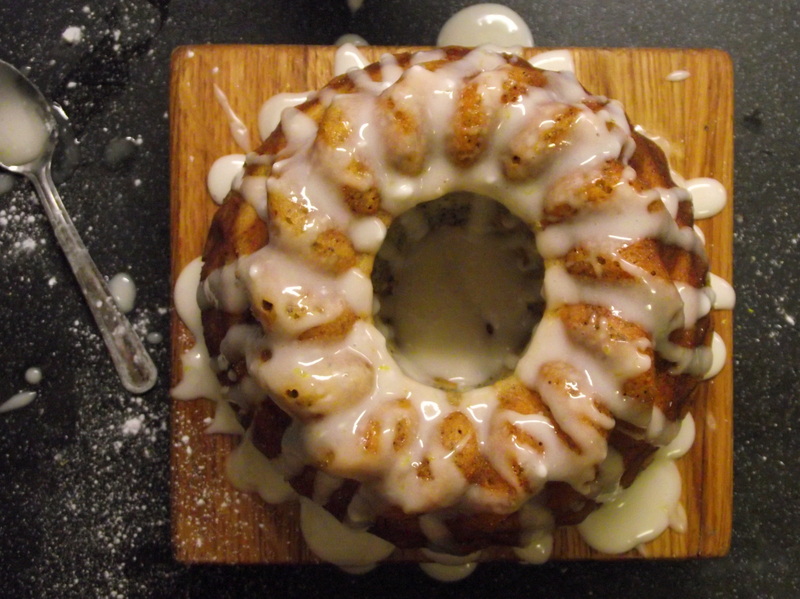 You probably won’t be surprised to hear that I have a Bundt tin languishing in the cupboard. Could this be its moment in the sun? Ooh this looks soo good!